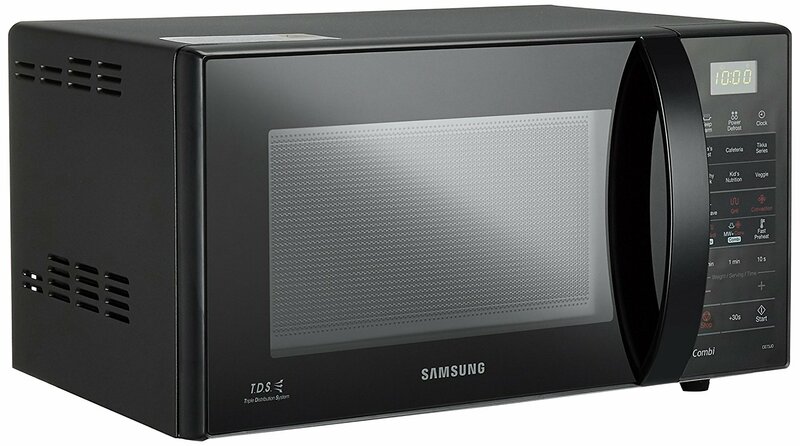 Samsung 21 L Convection Microwave Oven (CE73JD/XTL, Black) uses Triple Distribution System that cooks food evenly. TDS works with an aperture antenna and 2 extra slot antennas that distribute temperature widely. 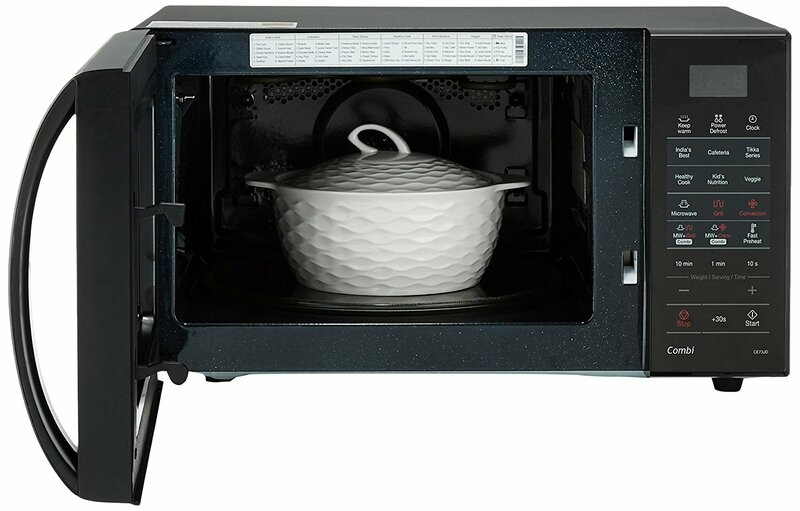 Further, it has ceramic enamel cavity that delivers evenly cooked foods and it is also very easy to clean. 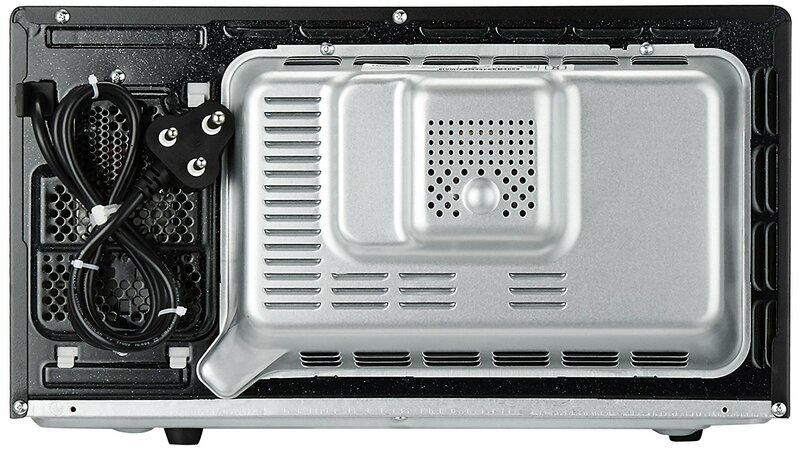 Further, it comes with a rapid defrost feature that lets you defrost frozen foods very quickly and evenly. This way the rapid defrost function returns foods to their fresh, pre-frozen form. Of course, you will enjoy delicious dinner with the help of varieties of cooking modes. 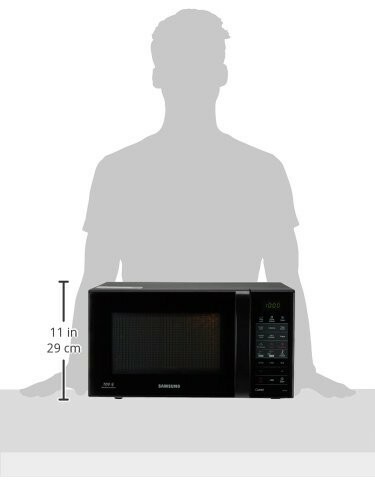 Further, This Samsung convection microwave has auto menu that has something tasty for you. You don’t have to invest much time and guesswork. You just need to choose a menu and press the button to start the cooking process. It has rapid defrost capability that is very helpful to defrost frozen foods quickly and evenly. 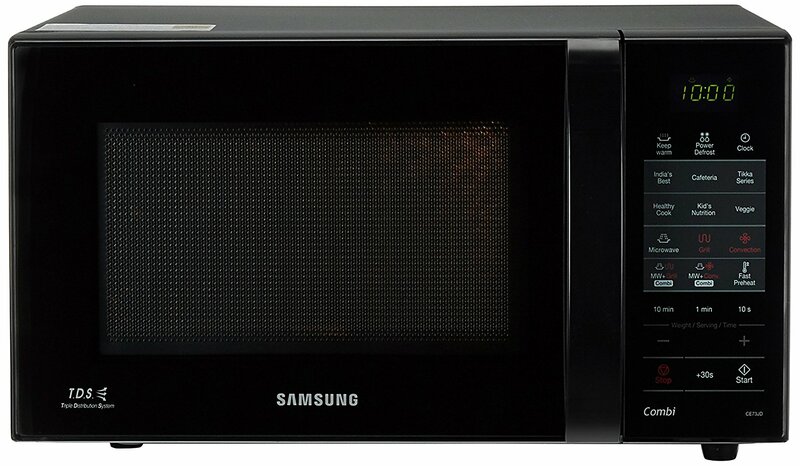 This Samsung microwave oven has one year of warranty on product and 5 years on magnetron. 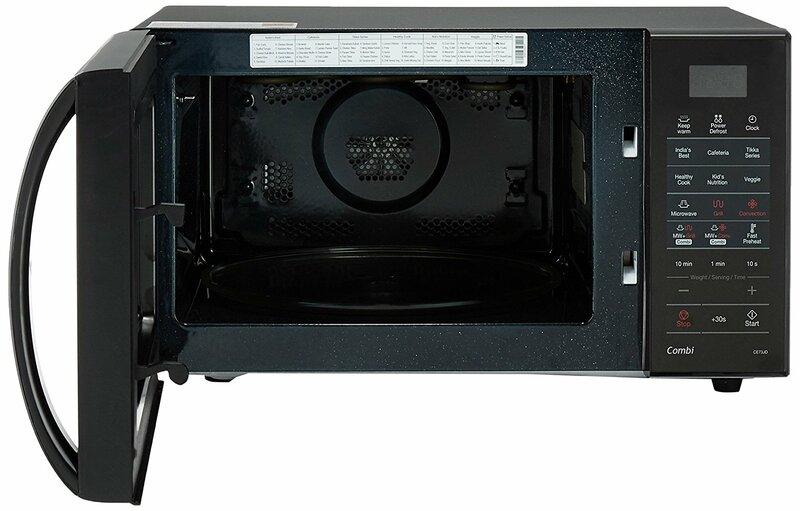 This unit has 1200 watts of input power and 2350 watts of output power. Finally, the package contains one turntable, 2 pizza base, 1 tawa, 1 crusty plate and 1 high/low rack.